On a weekday afternoon in July, Jessica Klaitman pulled her 16-month-old daughter Hannah out of a stroller in the lobby of the New York Kids Club, a 10,000 square-foot “child-enrichment center” with four classrooms, a dance studio, and gym space in Brooklyn Heights, N.Y. A circle of parents and nannies holding babies were swaying and singing along to the “Goodbye Song.” A playgroup for young toddlers was up next on the schedule. A drop-in class at the New York Kids Club costs about $47, according to an employee. Hannah’s playgroup that day was free, but only because Klaitman, 40, and her husband Jordan Small, 39, have enrolled their three children in package deals for classes in karate and preschool—which run about $650 per child for 17 once-a-week sessions. Klaitman estimates she’s dropped thousands of dollars at the club over the years, not to mention what she spends on the private preschool her oldest son attends, additional classes in Spanish and music elsewhere, and the family’s museum memberships. The Klaitman-Smalls’ considerable investment in their children is increasingly the norm for families like theirs who are in the top tiers of the country’s income distribution. The resources the affluent are pouring into their children are also the source of a growing divide between academic outcomes of the children of the well-to-do and those of everyone else’s kids. That widening academic divide means that kids who are born poor and kids who are born rich are staying that way once they reach adulthood. When Martin Luther King Jr. gave his “I Have a Dream” speech a half-century ago, on Aug. 28, 1963, black children lagged their white peers in school by more than three years. For poor children, the picture was somewhat more encouraging: Those in the 10th percentile of income fell behind the children in the upper echelon of wealth by about a year or so. Poverty was a major obstacle, but not so large that it couldn’t be scaled by the brightest and most ambitious. Fifty years later, social class has become the main gateway—and barrier—to opportunity in America. The country is far from fulfilling King’s dream that race no longer limit children’s opportunities, but how much income their parents earn is increasingly influential. 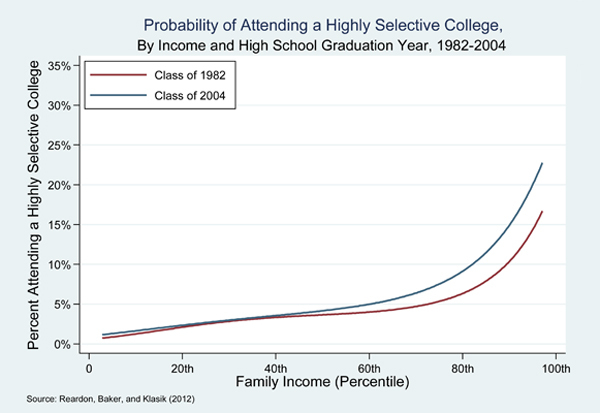 According to a 2011 research study by Stanford sociologist Sean Reardon, the test-score gap between the children of the poor (in the 10th percentile of income) and the children of the wealthy (in the 90th percentile) has expanded by as much as 40 percent and is now more than 50 percent larger than the black-white achievement gap—a reversal of the trend 50 years ago. Underprivileged children now languish at achievement levels that are close to four years behind their wealthy peers. 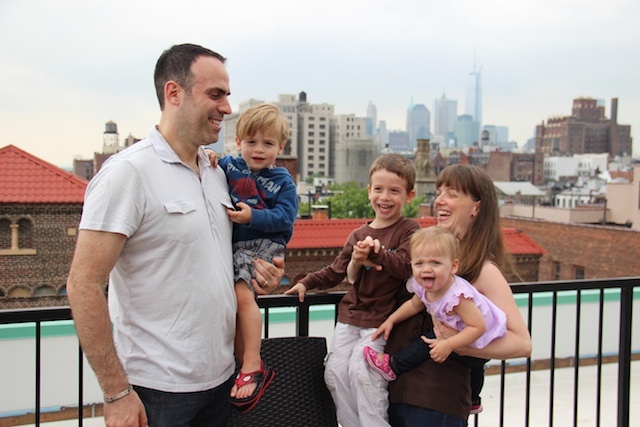 Jessica Klaitman is not in the 1 percent; her husband is a senior vice president at Bank of America Merrill Lynch and she’s a social worker who has worked part-time running support groups for new parents and teaching yoga. But they do well enough to pay $4,400 a month in rent for a two-bedroom apartment in Brooklyn Heights, one of the borough’s most-coveted neighborhoods, to pay for a full-time nanny in addition to their spending on preschool, and to take the family on regular vacations to see relatives out of state. Researchers say one of the likely causes of the expanding class gap is a byproduct of the country’s widening income inequality: an explosion in spending by well-to-do parents on their children. The amount has more than doubled in the last 30 years, according to work by Columbia University School of Social Work researchers Neeraj Kaushal and Jane Waldfogel and Katherine Magnuson of the University of Wisconsin. Parents in the top quintile of income in the U.S. (households earning at least $102,000 in 2011, according to census data compiled by the Tax Policy Institute, a nonprofit research group) now spend more than double what parents in the second quintile (earning at least $62,000) spend on trips for their children–about $2,000 per year compared with $800, the Kaushal study found. They also spend significantly more on childcare, computers, books, and private-school tuition than their non-wealthy peers. A 2013 study by sociologists Sabino Kornrich and Frank Furstenberg found that disparities in spending between the top and the bottom grew between the 1990s and 2000s, with parents in the bottom half of income distribution actually spending less on their children in the 2000s than previously—probably because of decreasing incomes. America’s widening class gap shapes the hopes and prospects of families like the Lynches, who live just a few miles from the Klaitman-Smalls in Crown Heights, a mostly working-class neighborhood in Brooklyn where stately limestone townhouses and public housing projects stand side by side. At first glance, the lives of Bryson Lynch, 2, and his older brother London, 3, are not too different from the lives of the Klaitman-Small children. On a sticky afternoon in July, the two boys were busy in their shared room in the back of their parents’ three-story home in Brooklyn. London was building a tower with Lego bricks. Bryson was toting around a plastic beach bucket and pretending to build a sand castle on the rug. A television set atop a dresser was tuned to a cartoon on Nick Jr., Nickelodeon’s preschool channel. Their quiet play didn’t last long—after a while, they tumbled into the living room. London grabbed his scooter and did a circle around the room. Bryson found an iPad, turned on his favorite song and began to dance. Their parents, Larry, 32, and Krystal, 29, seated nearby at the kitchen table, kept a watchful but patient eye on the boys’ exuberant play. The family would most likely count as solidly middle-class in any other city, but in New York money can sometimes be tight. “We’re not rich, but we’re not struggling,” says Krystal. Larry works for the city’s medical-examiner office as a computer technician, and Krystal has stayed home with the boys since New York City laid her off from her job as an operator for its information hotline, 311, in August 2012. They bought their house through a city affordable-housing lottery, and the Lynches qualify for Head Start, the free federal preschool program for children living near the poverty line. Opportunities that would launch the boys on a path to being lawyers or doctors can seem elusive, however. Larry, a product of the New York City public schools, refuses to send his children to any of the poorly performing public schools in the neighborhood. They can’t afford Catholic school tuition—about $5,000 a year, they say. Instead, Krystal has researched privately run charter schools in the area and picked out her top choice: an all-boys charter run by the network Uncommon Schools, which receives high marks on the city’s grading system but chooses students through a lottery—meaning they won’t necessarily get in. To supplement Head Start, Krystal has both boys work on their letters and numbers every night. At age 3, London can write his full name; lately he’s been practicing writing it in a straight line. Bryson can count to 20. But Krystal Lynch has a harder time finding enrichment activities outside of the home to keep the boys busy and engage their growing brains. Research suggests that new experiences are essential to building children’s vocabularies, and that a large vocabulary is in turn essential for a successful academic career. A decade ago, University of Pennsylvania sociologist Annette Lareau spent months following a set of middle class and working class families for a research study that became the book, Unequal Childhoods. She identified a distinct class divide—but less of a racial divide—in parenting styles that seemed to give middle-class children an upper hand at school and, eventually, work. Middle-class parents consciously cultivated academic and athletic achievement in their children, enrolling them in an exhaustive range of activities and engaging them in constant conversations and negotiations. Kids developed rich vocabularies, ambition and a sense of entitlement. Working-class families set rules, but then let their children roam mostly free, allowing them to entertain themselves and separating the worlds of adults and kids more rigidly than their middle-class counterparts did. In institutional settings, such as the doctor’s office or school, the children were less assured and usually less successful. Both the Klaitman-Smalls and the Lynches engage, to some degree, in the “concerted cultivation” that Lareau identified as helping children succeed in school settings. But since that study, Lareau says she’s watched the class divide in parenting widen, leaving even middle-class parents behind. These days, soccer and Girl Scouts aren’t enough to compete with trips to Europe, science camp and squash. Besides money, that is, the other critical currency that upper-middle-class parents have at their disposal is information. Wealthy parents have zeroed in on this shift, says Emily Glickman, a Manhattan private-school consultant, and are not only spending more on their kids, but focusing that spending on the new technologies and skills that will be in demand in the 21st century workforce. The Klaitman-Smalls aren’t the types to send their preschoolers to tutoring or sign them up for Mandarin to prepare them for the Ivy Leagues. They choose activities based on what their kids like, and are looking for a public grade school, not a private one, for their children. But Jessica Klaitman says many of her peers do seem to be thinking ahead to Harvard. When she considers what it might take to even the playing field for families less fortunate than hers, one of the things she mentions are social networks. In-the-know affluent parents gather in play clubs and exclusive preschools, where they provide each other not only with support, but also with information, including ideas about child-rearing and tips on how to access opportunities for their kids that are likely to set them up for success later on. “I think isolation is one of the hardest things about having kids,” she adds. She has a tight-knit family—the grandparents often help with babysitting, for instance—but when it comes to parenting strategies, or thinking ahead about schools, she has relied on her own and Larry’s instincts. 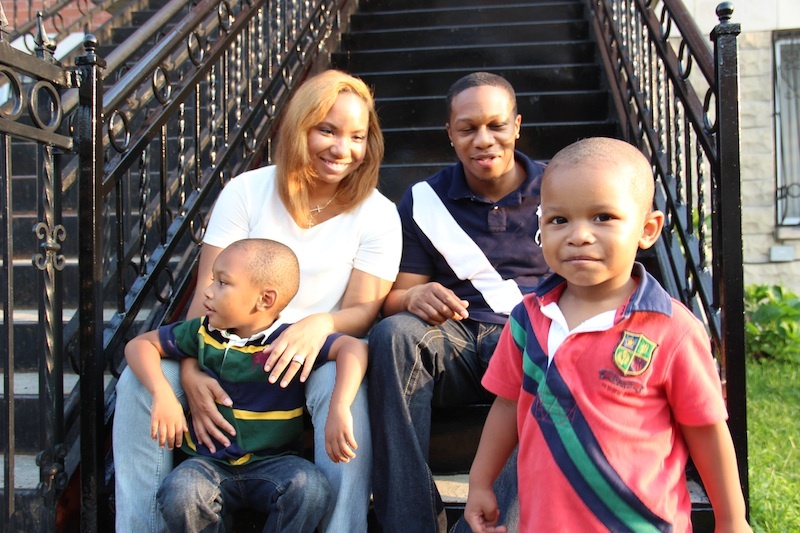 Both Krystal and Larry Lynch were the first in their families to go to college, and both graduated from New York City College of Technology of the City University of New York, a four-year school with a vocational focus in downtown Brooklyn. They talk about their boys “going away” to school, but beyond that they say they’ll have to do research online to find good colleges for their kids and to figure out what it will take for them to get in. They also aren’t sure how they’ll be able to afford a school with more elite status than their alma mater. Krystal Lynch says she’ll begin looking for a new job this fall so the family can start putting money into a college fund. 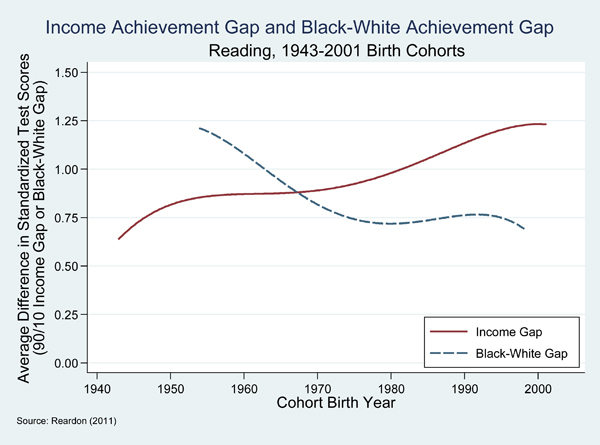 The factors that have fed the class divide in student achievement are complicated. Changes in how parents at different income levels invest in their children, shifting parenting styles and the legacy of parents’ own experiences in education are major influences. So are levels of neighborhood poverty and segregation and the quality of a child’s school and teachers. A recent study by the Equality of Opportunity Project also found that places with high concentrations of African Americans had limited class mobility for children, both black and white. One of the best ways to close the class achievement gap, according to many researchers, is somewhat simple, though. It’s an idea that Martin Luther King Jr. pushed in his later years, while planning a second March on Washington in 1967 to support his Poor People’s Campaign: Put more money directly into the hands of lower-income families. According to the Kornrich and Furstenberg study, even though poor families spend much less money on their children, they put a higher percentage of their paychecks toward investments in their children (about 20 percent, compared with 5 percent among wealthier families). And Murnane points to evidence showing that when lower-income families have additional income, through the Earned Income Tax Credit, for example, their children’s test scores increase. 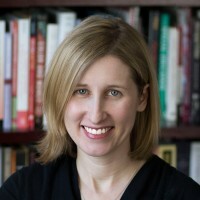 Jane Waldfogel, the Columbia University social-work professor, has looked at how low-income families spend additional income in two different studies in Britain and the U.S., and found they put extra cash either towards their kids, by buying books, toys and clothing, or their jobs—buying clothes for work or purchasing a car, for example. But wealth redistribution has become a political nonstarter. In its place, other efforts that show some promise have taken precedence. Home-visiting programs can provide to parents living in poverty the support and information that high-income parents tend to get from their education experiences and social networks. Intensive, high-quality preschool experiences where children have plenty of time to build social skills and bigger vocabularies through play improve test scores, at least in the short term, and reduce their chances of being poor as adults in the long term.